Jacobsen® turf equipment is an Official Supplier of The 2018 Ryder Cup at Le Golf National, and is providing tournament support to the greenkeeping team during the competition as well as the HNA Open de France tournament being held between 28th June – 1st July. Technical staff from the Ransomes Jacobsen facility in Ipswich, U.K. will assist staff based at Ransomes Jacobsen France (RJF) in Toulouse throughout both competitions. Jacobsen turf equipment is designed and manufactured by Textron Specialized Vehicles Inc., a Textron Inc. (NYSE: TXT) company. 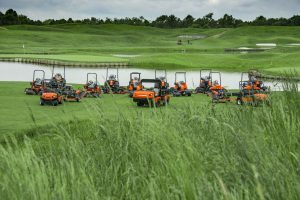 In 2016, Le Golf National signed a five-year preferred supplier agreement with Ransomes Jacobsen. The prestigious golf course, which belongs to the French Federation of Golf, has demonstrated its confidence in Ransomes Jacobsen France, which has supplied equipment to the facility since 2010. In addition to the course’s regular fleet of Jacobsen equipment, an additional 31 pieces of equipment have been delivered to support The Ryder Cup and HNA Open de France. The additional machinery consists of nine Eclipse 2 greens mowers, three SLF-1880 fairway mowers, three AR-3 rotary mowers, two Jacobsen Trucksters, four Smithco Lite rollers and 11 mower caddies. An additional three Eclipse 2 greens mowers will be delivered after the HNA Open de France, to assist with The Ryder Cup preparations. 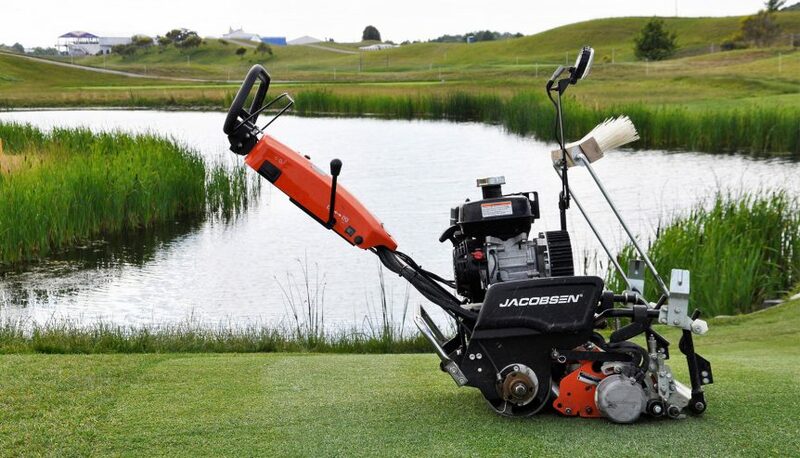 “Le Golf National has been in partnership with Jacobsen since 2011. The quality of machinery, the back-up support, and the product innovation are just some of the reasons we choose Jacobsen. Together, we have created a world-class golf course that will host the HNA Open de France, The 2018 Ryder Cup and the Olympics in 2024. Since opening in 1990, Le Golf National has hosted the Open de France 25 times. 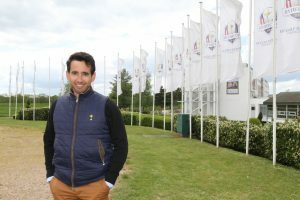 It consists of three courses: the Albatros, an18-hole championship course, on which the Open de France and Ryder Cup will be played; the Eagle, a second 18-hole course; and the Oiselet, a 9-hole course. Textron Specialized Vehicles Inc., a Textron Inc. company, is a leading global manufacturer of golf cars, utility and personal transportation vehicles, snowmobiles, side-by-sides, all-terrain vehicles, professional turf-care equipment, and ground support equipment. Textron Specialized Vehicles markets products under the E-Z-GO®, Cushman®, Arctic Cat®, Textron Off Road™, Jacobsen®, Dixie Chopper®, Ransomes®, TUG™, Douglas™, Premier™ and Safeaero™ brands. Its vehicles are found in environments ranging from golf courses to factories, airports to planned communities, and theme parks to hunting preserves. Textron Inc. (NYSE: TXT) is a multi-industry company that leverages its global network of aircraft, defense, industrial and finance businesses to provide customers with innovative solutions and services. Textron is known around the world for its powerful brands such as Bell, Cessna, Beechcraft, Hawker, Jacobsen, Kautex, Lycoming, E-Z-GO, Greenlee, Textron Off Road, Arctic Cat, Textron Systems, and TRU Simulation + Training. For more information, visit www.textron.com.